Because of this, PDF has become the de facto standard for electronic documents. Glyph & Cog has been in business since 2002. The company founder, Derek Noonburg, has been working with PDF since 1995. Over the years, PDF has become more and more complex. 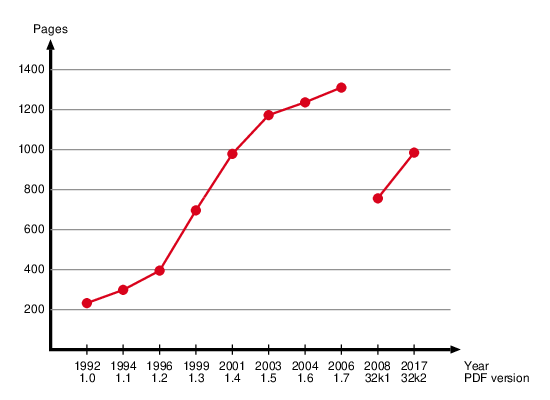 The following chart shows how PDF has grown in complexity (using the admittedly not so scientific measure of the number of pages in the PDF specification). When selecting a PDF software vendor, make sure you pick one who knows PDF!